Protein – What is it Really? Protein is extremely important for a dog. In fact, it’s pretty important for all life. Many people take the importance of it for granted but I always like to ask the question: OK, but Why? To answer that question, we have to go back a little bit to the chemistry of the cell. Each cell of your body is going through thousands of chemical reactions every second. Most of these reactions will not work if just left on their own. For example, sugar gets converted to energy in a cell. To do this it has to undergo a number of chemical changes. But if you just let sugar sit in water, nothing happens. To push the reaction forward, it needs a catalyst. The definition of a catalyst is something that helps a chemical reaction along, but remains unchanged. In synthetic chemistry, we use other chemicals, and even metals, to complete the reactions. What do cells use? They use enzymes. Every reaction in your cells has a unique enzyme. There are different types of enzymes, and millions of enzymes in each cell. 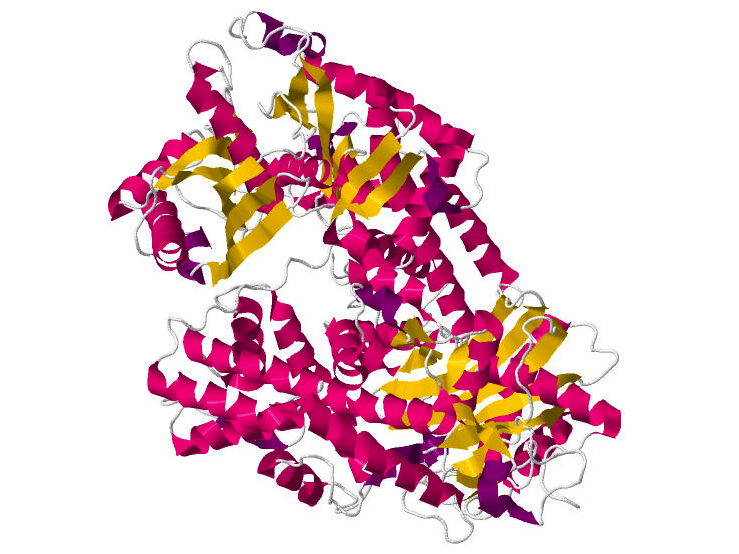 Each enzyme has a very specific shape that only works for the compound that it is the catalyst for. Enzymes get this shape because they have a specific amino acid sequence. Hundreds and thousands of amino acids fold in a certain way to get their unique shape. The Hexokinase enzyme, one of the many that turns sugar into energy. Like all enzmes, it is made up of amino acids. Enzymes are fairly fragile though. They break down fairly easily outside the cell. When a enzyme breaks down it unfolds and can no longer work. This is what protein is. I usually use the word protein and enzyme interchangeably, but the technically all protein is an enzyme that is either working or unraveled. 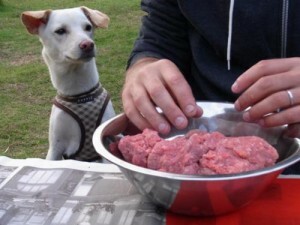 Protein is important because it contains the amino acids that are necessary to create new enzymes for your dog. During the digestion process, the protein is broken down into amino acids and redistributed to the body by red blood cells and blood plasma. Once inside the cell the amino acids are reconfigured to create whatever protein your dog’s cells needs. So protein is important because of the amino acids that it contains. These get reconfigured by your dogs’ cell to make… more protein.